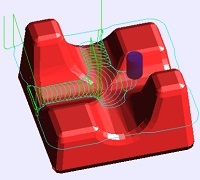 This freesteel website is authored by Julian Todd who has been an independent programmer in Liverpool since 2003, with a brief interlude of two years when he was an an employee of Autodesk when they took over HSMWorks to which he had supplied a quantity of CNC machining algorithms. His original goatchurch.org.uk site has been ported to here. His main workplace is the co-working space called DoESLiverpool. Post NC Graphics sell-out to Vero, Martin and Julian developed the Adaptive Clearing algorithm in 2004 for Cimco, which we marketed to a skeptical industry (see our brochure) before it accidentally grew into the core of the HSMWorks kernel. There has been a number of machining blogposts, as well as Julian’s departure and criticism of Autodusk. 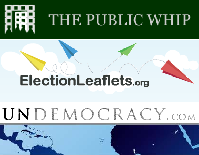 Political websites, such as PublicWhip (counting the votes by MPs), UNdemocracy.com, and ElectionLeaflets (crowd-sourced party political leaflets) pile up faster than good homes can be found for them. No need for my contribution any longer as lots of talented people are now in the space. There’s also a company called Sensible Code (formerly known as Scraperwiki). 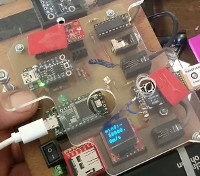 There’s have been temperature datalogging projects that have got out of control, and an attempt to drive servo motors without the driver so that machine tools can be better. Julian got back into hang-gliding because Wills Wings is customer of HSMWorks. His first flight in 15 years took place in the spring of 2012. This was followed by a week at Wallaby. 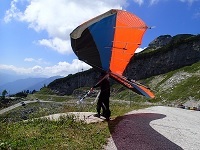 There were some lovely flights on his new glider in Austria in 2013 culminating in the Schlommerdreieck in 2016 as described in a published article. 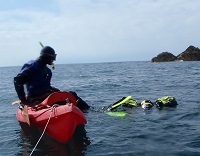 Kayak diving began with the purchase of two dive kayaks in 2002. Julian and Becka have paddled them from all corners of the UK and Ireland, though quite a lot round Anglesey, and mostly on their own due to a total lack of other kayak divers in the country. The kayak diving blog category has a lot of normal diving mixed in, but there is a special kayak diving page. 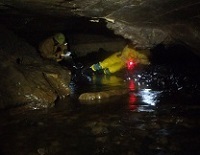 Cave surveying activities branched out from the CUCC explorations in Austria since 1988, to the development of cave surveying software TunnelX, and finally into a total resurvey of the caves under Leck Fell as numerous Misty Mountain Mud Miners projects came to fruition. Read it in the Daily Mail.